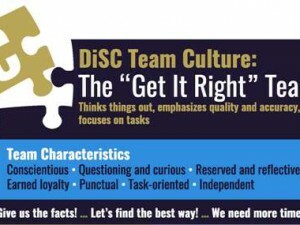 Motivation is most directly addressed in the Everything DiSC Management profile. Which of these does NOT demotivate a D style? 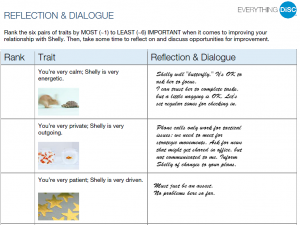 The D styles prioritize challenge, drive and action. Which is most likely to demotivate a C style? Being forced to let errors slide. Needing to be confrontational and challenging. Having to wade through a lot of details. The C style want to base their decisions on logic and value objectivity, reliability and like a good challenge. Which of these would NOT help create a motivating environment for C employees? Encouraging them to help define quality standards. Requiring that they attend frequent networking events. Avoiding springing last-minute demands on them. Giving them plenty of time to process information. People with the C style tend towards introversion and like to get absorbed in analytical projects. What is the natural motivation of someone with an S style? To achieve recognition, career growth, and influence. To create and maintain stability where tension and conflict are rare. To bring high standards and analysis to projects. To initiate adventurous or groundbreaking programs. This style values progress, but thrives when given time to perform without being rushed or stressed. What's the best way suggested below of recognizing and rewarding someone with a D style? Give them an award during a ceremony. Offer a compliment in private. The D style is driven. Which of these would be a motivating environment for an i style employee? Concrete goals, explanations regarding the bottom-line purpose of assignments. High standards and expectations within specified parameters. Several opportunities for collaboration with their boss and peers. The i style is energized by working with others. They value relationships. Which of the following would demotivate someone with an i style the most? Getting rushed to make decisions. Feeling like their time is being wasted. Dealing with cold or argumentative people. Working in a reserved, slow-paced setting. The i styles prioritize action, encouragement and collaboration. What's an effective way of recognizing or rewarding employees with S styles? 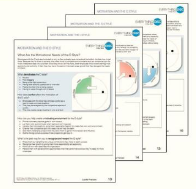 Help them build expertise in new areas of interest. Show that you trust them to deliver results by giving them more responsibility. Place them in the limelight. Give them plenty of variety and opportunities for socializing. The S style employee wants to be respected and is unlikely to put themselves forward for new opportunities. Need to review! 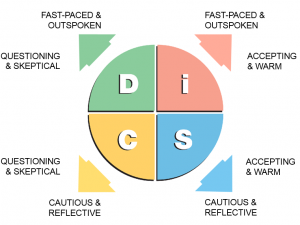 Take a look at the Everything DiSC Management profile report. Perfect! 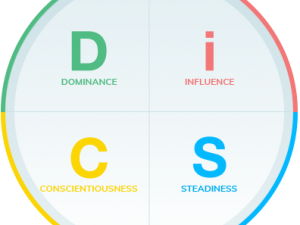 You know your DiSC styles. Im staying sharp guys…. Only missed one but it was about an “I”… what the heck?!? If I missed any it wasn’t supposed to be that one right? lol. Great test! looking forward to more Dan!